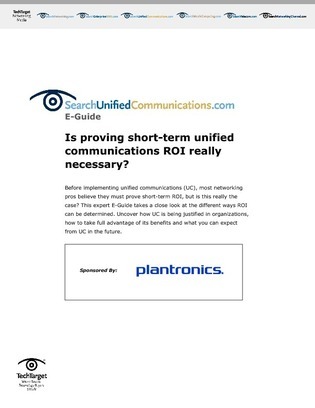 Before implementing unified communications (UC), most networking pros believe they must prove short-term ROI, but is this really the case? This expert E-Guide takes a close look at the different ways ROI can be determined. Uncover how UC is being justified in organizations, how to take full advantage of its benefits and what you can expect from UC in the future.